Should you trust online property valuations? A growing number of properties are being marketed without a price right now and that creates a real dilemma for home buyers trying to decide how much to offer. 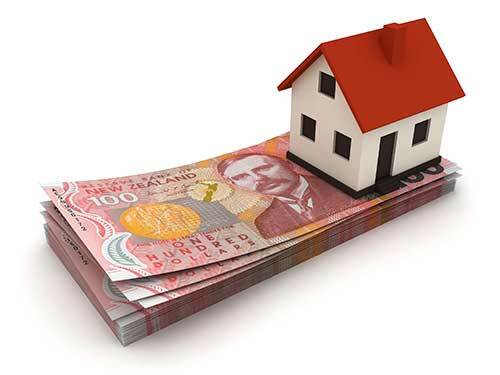 At the moment of truth many are turning to online property valuations as a guide on pricing. While these reports often contain useful information it is important not to consider them as a definitive guide, but rather just one piece of the fair market value puzzle. What are the main issues with online valuations? 1. No one has looked at the property. Are you going to trust the opinion of a computer program to decide how much you should pay for the biggest asset you will every buy? One that might take you 25 – 30 years to pay off? Are we that reliant on computers already? Skynet could still take over one day but we aren’t quite there yet last time I checked. 2. Computers can’t measure the intangibles. No amount of testing or data analysis could predict Tom Brady would become the greatest NFL player ever (he was written off as a prospect after leaving College). When it comes to property a computer algorithm can’t take into account the condition and other factors that influence value like access, sun aspect, charm or the general feel of the home. Some houses you walk into and fall in love with and it can be hard to explain exactly why. 3. No 2 houses are the same, especially in Wellington. If you are looking at apartments or terraced houses the values may be extremely similar, but in Wellington the housing stock is largely older 60’s, 70’s, 80’s homes that have had extensive renovations over the years often with rooms and bathrooms added on by previous owners. The result is a wide variety of property with a wide variance in value. Not to mention the uneven terrain aspect meaning some houses get all day sun while their neighbours might lose the sun in April and not see it again until September (brrrr, hope they have a heatpump!). 4. The market moves quickly. In our information age markets move fast, real fast. Online property valuations are based off settled sales that happened months ago. Those QV stats you see coming out saying we had price growth of 2.3% over the last x months? Yep, that’s old news and is likely 3-4 months out of date the moment it gets released. That doesn’t mean you shouldn’t take notice, it just means you should keep your eyes on whats happening at the coalface. What did that property you saw last week sell for? Go along to Auctions when you can, even if you aren’t buying to see what properties are actually selling for today. 5. There is no 1 price for any home. 6. The price matters a lot less if is is the right home for you. I bought my first home for $416k. If you asked me now whether I would care if I had bought it for $420k, $430k, $410, or $400k? Would I feel any different? The answer is absolutely not, it simply doesn’t matter that much in the scheme of things if it is the home you really want, and as long as you don’t need to move again anytime soon (see last weeks post on how to avoid losing money in real estate). If you think the house is right for you then get into it. Don’t miss out on it for a small amount of money (small in comparison to the overall value that is). Would you be really upset if someone paid $5k more than you and you missed out? Then you need to re-consider what you are offering, as long as you can afford it. 7. If you obey the machine, you might end up paying too much. Everyone is desperate for guidance when it comes to making big life decisions and many just want to be told how much they have to pay. It’s human nature. Please don’t obtain that advice from an automatically generated report though. Is there someone you know who can give you the impartial advice you seek? Maybe a friend in the industry? Or at least someone you know who might have bought or sold recently who isn’t financially tied to the transaction? (Note: Sometimes parents who last bought a property 15 years ago aren’t the best source of advice, but they do love you so try to be nice to them). You aren’t buying a pair of shoes here and you are going to have to put in some serious hours to learn your market and become an expert on pricing if you really want to avoid making a poor decision. Visit lots of property, talk to salespeople, find out what houses you have been to have sold for, even if you didn’t like them. It all helps to paint a picture and fine tune your own value instincts. In conclusion, the more information you have, the better and I suggest you take advantage of online property valuations, especially when your bank gives them to you for free. Take them for what they are though – a computer program throwing an educated dart at a dart-board. If your gut tells you the property is worth more or less than the report tells you, then trust your instinct and look at up to date recent sales to justify your thoughts on price. Take some time to make your decision too. Don’t rush into a life long commitment on the first date / visit (eg. try not to make an offer 1 hour after visiting a property for the first time, it often ends in tears). Thanks for reading, have a wonderful weekend and let us know what you think by commenting below. Do you have your own tips for home buyers trying to decide on a price? We would love to hear your thoughts. Hi we are currently in a boom in Marlborough. A qv valuation on 5 acres was $237,000 done 2 years ago. Purchased property recently and new valuation has just come in as $200,000. Does this sound right? I assumed in a growing market, that property values would go up, not come down? do valuers make mistakes? According to me online valuation is doubtful for me, because without watch the condition of that property how could we get the right valuation report of the property??? ?